Summer to me is all about the water whether it's the beach, the lake or the pool. 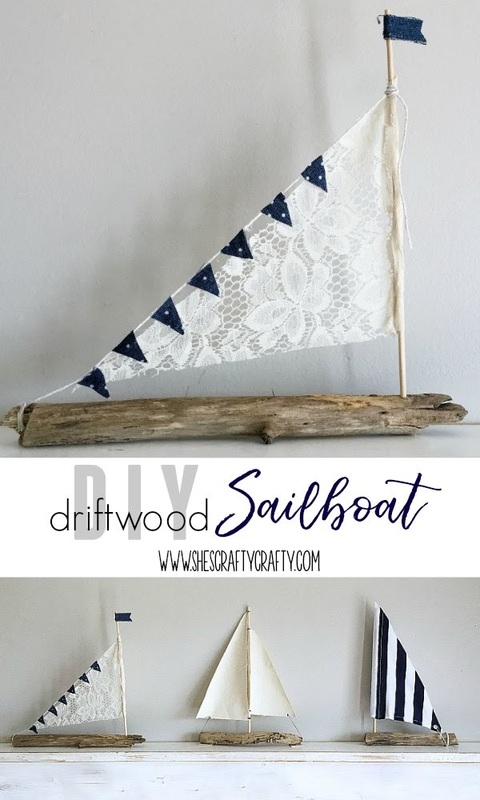 While visiting our local lake I found some pieces of driftwood and decided to make them into DIY Driftwood sailboats to celebrate summer! I used supplies I had on hand to make these. I keep telling my husband that my hoarder tendencies pay off! Here is a great example!! 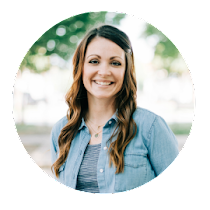 In case you don't have hoarder tendencies like me, here is a list of what you'll need. 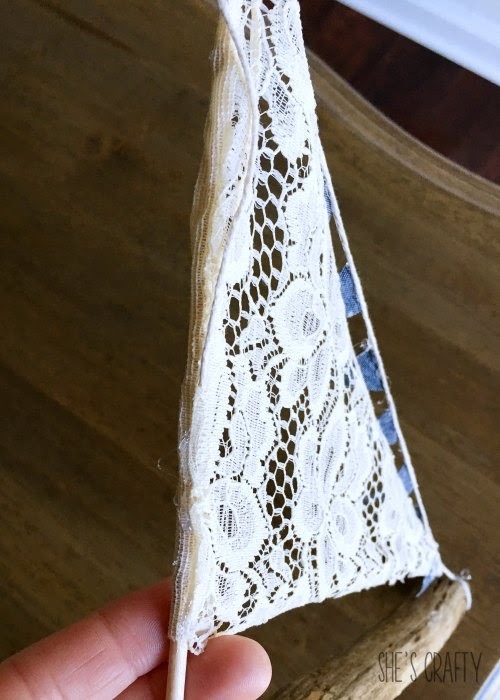 For the first boat, I used a scrap piece of lace that I cut it into a triangle to fit on the dowel. 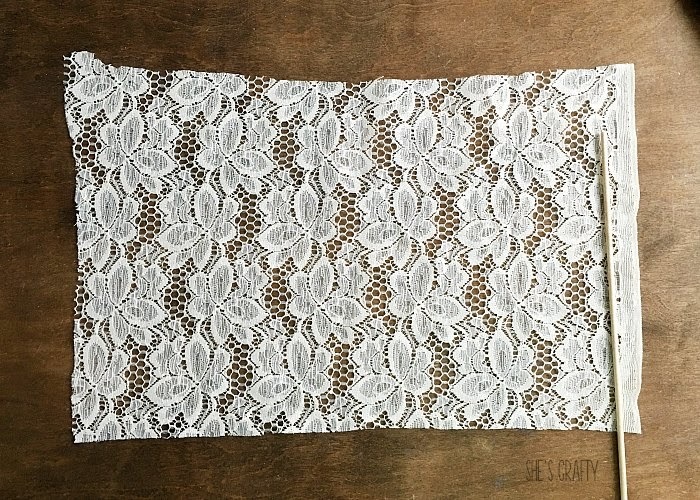 Hot Glue one side of the lace triangle to the dowel. Drill a hole in the drift wood. Put a drop of hot glue into the drilled hole and push the dowel in. 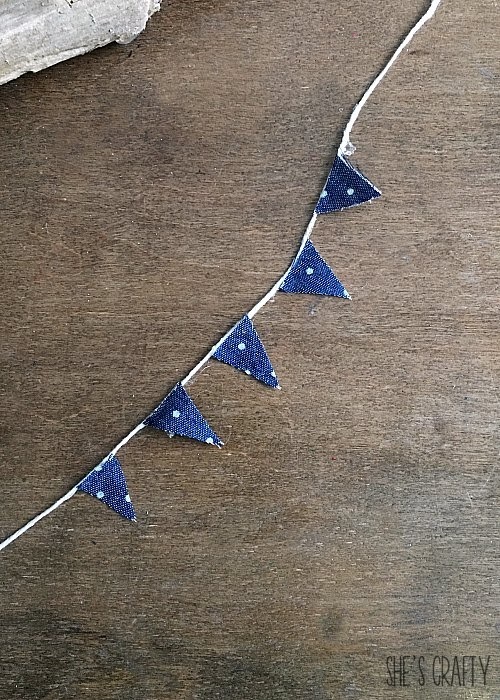 Cut triangles from another scrap of fabric and glue them onto cotton string. 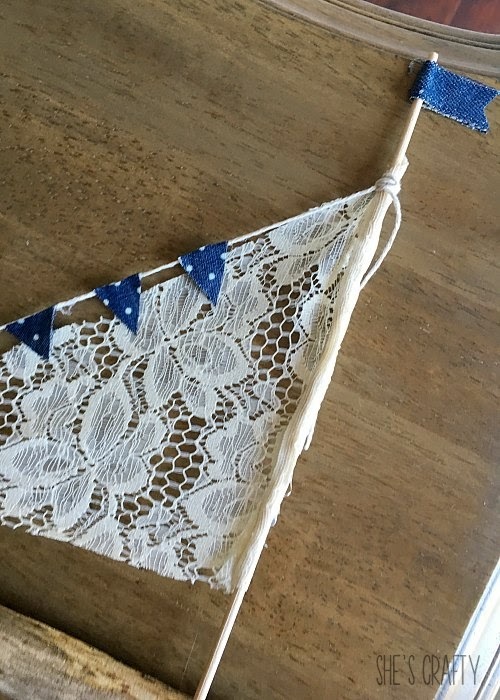 Tie the banner to the dowel then hot glue the other side of the lace sail to the banner. 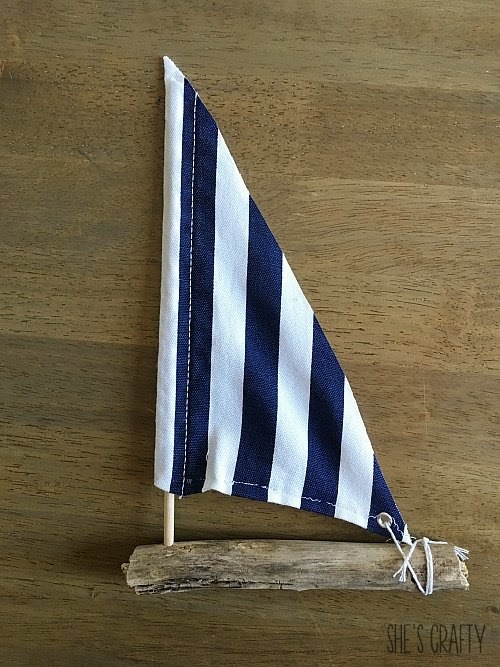 Then tie it to the driftwood. 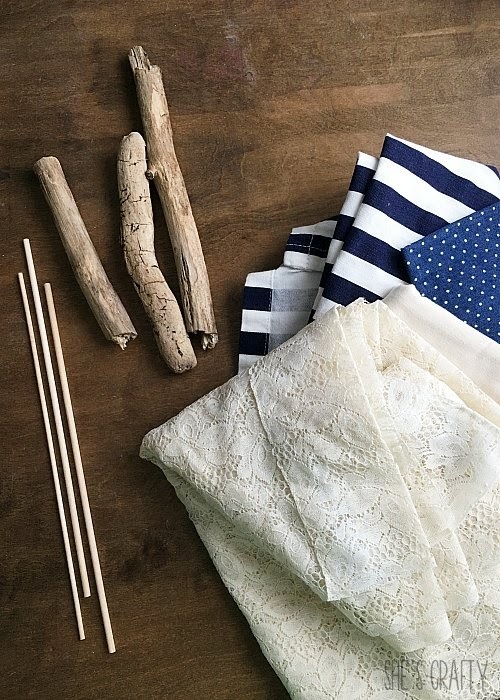 Glue a flag to the top of the dowel cut from a piece of denim. 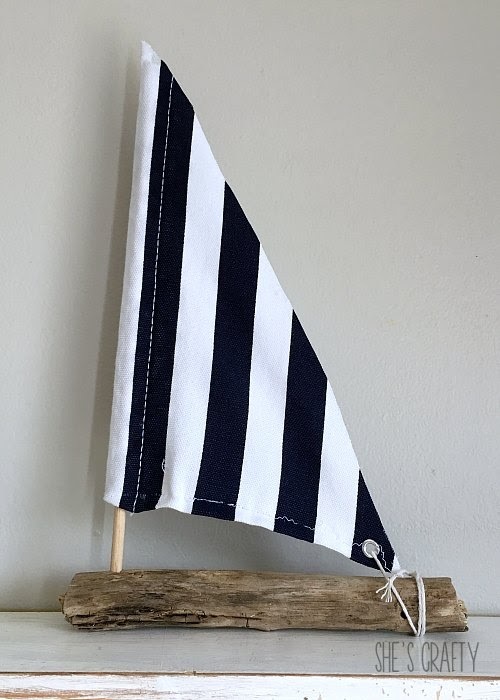 For the next boat, cut a repurposed piece of navy and white striped fabric into a triangle. 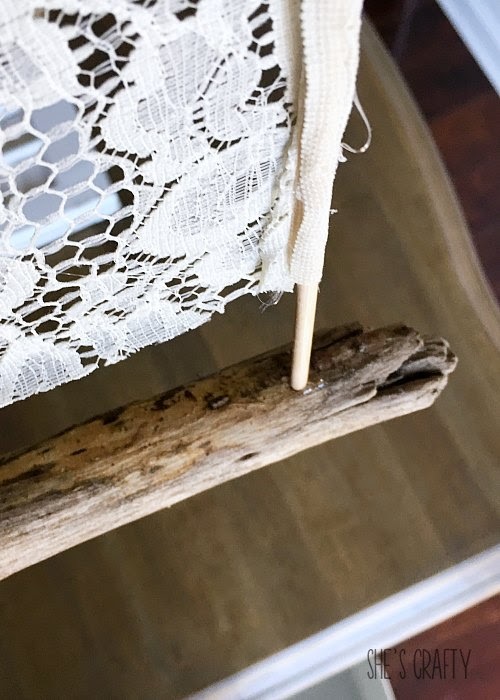 If you can, use the existing seam along the side to place the fabric onto the dowel. 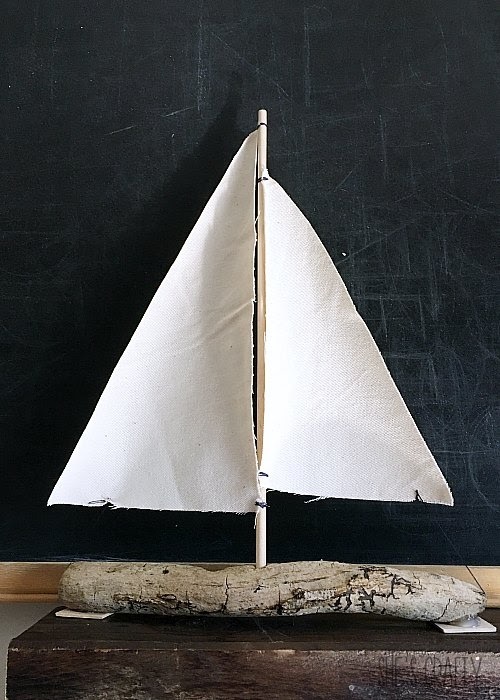 Then I place a grommet into the corner of the fabric sail and tie it to the drift wood with cotton string. 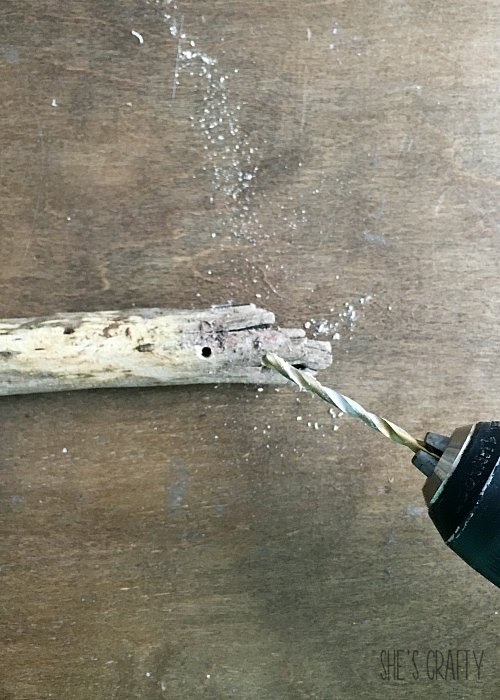 Drill a hole in the driftwood and push the dowel into it. 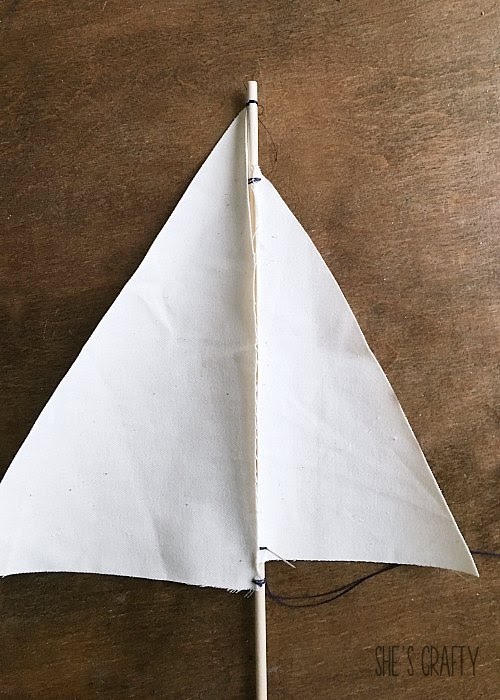 For the last sailboat, cut 2 triangles from canvas, make one slightly smaller than the other. 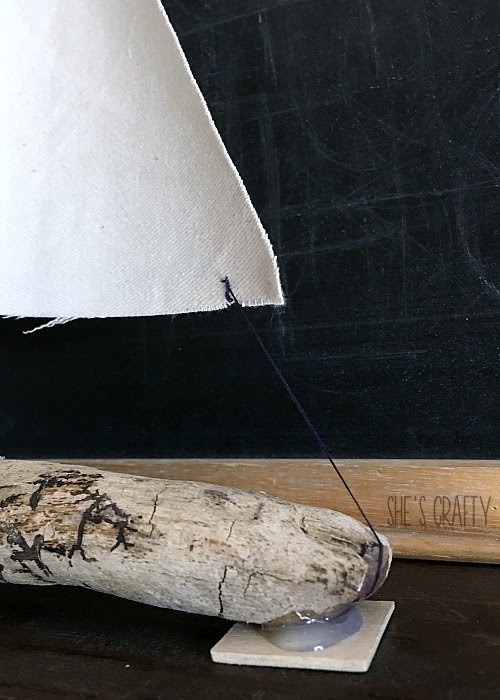 Attach the canvas triangles to the dowel by sewing them on with navy thread. 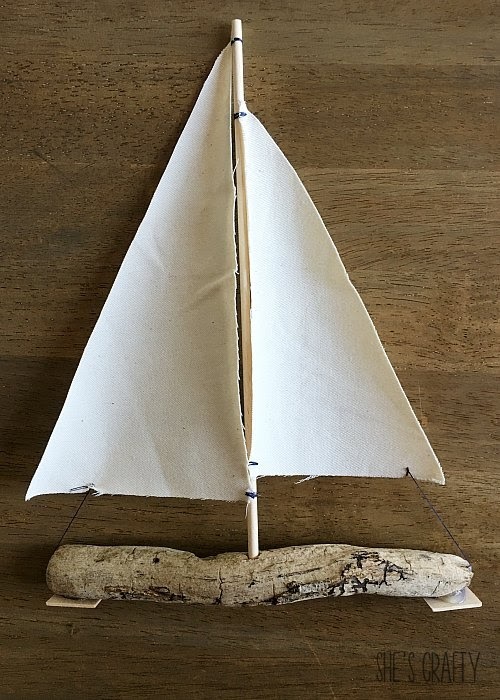 Then glue the thread to the bottom of the driftwood. 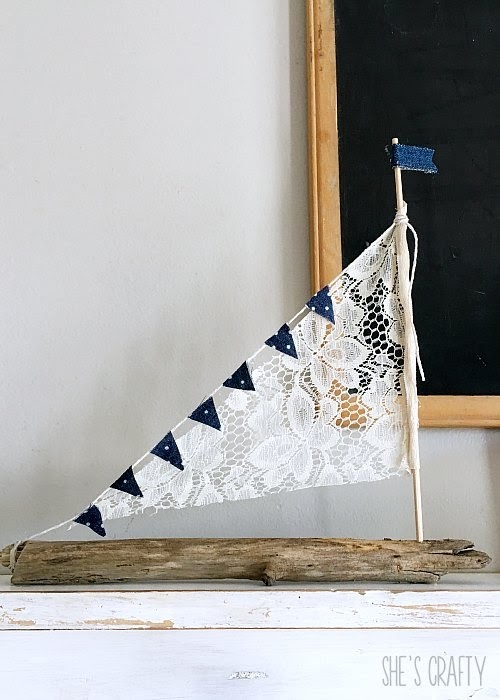 This sailboat was a little wobbly, so I glued wooden squares to the bottom. I would probably use something smaller next time like coins. 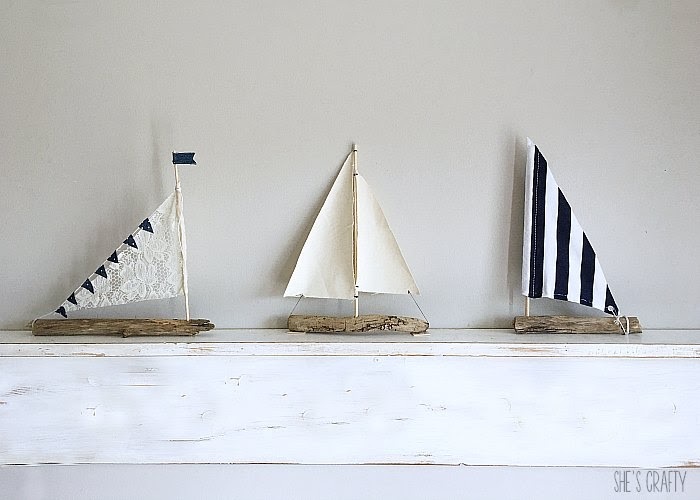 These 3 little driftwood sail boats are perfect for late summer decoration! These are so adorable. What fun you must have had making them.